The post Samsung Announces Improved HMD Odyssey Plus appeared first on VRScout. Bat Batty Bats in Roccat Studios Battiest Videogame Yet Get that bat ready for a battering this Thursday. Roddenberry Entertainment, Light Field Lab and OTOY Aim To Create A Holodeck Light Field Lab hopes to use its headset-free holographic technology to bring Star Trek's holodeck into reality. Oculus co-founder Brendan Iribe, the company’s first and only CEO, is parting ways with parent company Facebook. In a post on Facebook Iribe noted he would be taking his “first real break” in over 20 years, though didn’t provide a reason for his departure. Iribe is the second founding member of Oculus to part ways with Facebook in the past 18 months after Rift inventor Palmer Luckey left in March of 2017. Facebook also didn’t provide a reason for that departure and Luckey declines to comment on it as well. According to a Facebook representative, Oculus co-founder Nate Mitchell, who has been leading the Rift and PC organization with Iribe, will remain in his position and lead the team. Iribe helped launch Oculus in 2012 alongside Luckey, Mitchell, Michael Antonov and the late Andrew Scott Reisse. He assumed the role of the company’s CEO and Iribe helped Luckey raise more than $2 million on Kickstarter for their initial project by getting support from game engines such as Unreal and Unity. In the following years Iribe oversaw Facebook’s acquisition of Oculus for what’s thought to be $3 billion in 2014 before launching the first consumer Rift in 2016. However, in late 2016, Iribe stepped down from the CEO role. He ultimately disappeared from the spotlight, no longer appearing on-stage at the annual Oculus Connect developer conferences. Mark Zuckerberg appointed Hugo Barra as Facebook’s VP of VR, though Oculus itself hasn’t had a CEO since. Last year a Texas jury made a $500 million decision against Oculus, Facebook and its co-founders based around claims made by Bethesda parent company, ZeniMax Media. The company claimed Oculus CTO John Carmack had stolen Bethesda-owned technology when Carmack moved from ZeniMax-owned id Software over to Oculus. Facebook was recently able to halve this to $250 million and Carmack has resolved his own personal dispute with ZeniMax. An appeal is still moving forward for the larger Oculus/ZeniMax case. 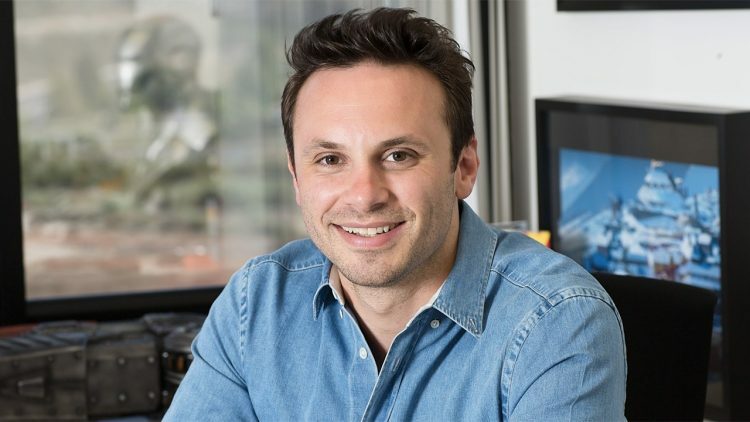 The post Former Oculus CEO Brendan Iribe Departs Facebook appeared first on UploadVR. There’s Something Strange In Your Neighbourhood – It’s Ghostbusters World It's your chance to bust some ghosts as Ghostbusters world AR title gets global release. Sony might be looking to make VR less isolating by allowing multiple people to join in on the fun. As reported by Android Headlines, the company recently had a patent published that details a means of allowing multiple VR headsets within the same proximity to communicate with one device. The system uses a data processing device and a means of wirelessly interconnecting headsets to allow VR users in the same room to see each other in the same virtual environment and explore it together. There are several interesting points to this patent. Obviously, local VR multiplayer itself sounds hugely compelling, though it comes with some safety risks and space concerns. It’s possible that the company is thinking more along the lines of location-based VR here, though the ability for two PSVR owners to play table tennis or something like Rec Room whilst standing next to each other is intriguing. Images show users not only watching videos together but walking around worlds too. The mention of a wireless device is also promising, though it’s unclear if this refers to simply connecting two headsets without a physical link or if it means connecting to the processing device too. If it’s the latter then it could mean Sony is looking at a wireless solution for an unannounced follow-up to PSVR, which I think everyone’s got their fingers crossed for, though the images in this article do seem to feature wires on the headsets. We’d also be interested to see how multiple headsets might be tracked; PSVR’s current camera-based solution doesn’t seem like it’s up to the task. Last year we also covered a patent that suggested the company was looking into a new system comparable to SteamVR tracking. The image above shows what looks like a multi-sensor device located in the center of a room. We also recently reported on yet another Sony patent that suggested the company is looking at new systems to detect and confront simulation sickness in VR. We now know Sony is working on a next generation console, and these patents are providing some interesting hints as to what a possible follow up to PSVR might look like. The post Sony Patents New System For Local Multiplayer VR appeared first on UploadVR. HTC Introduces 6DoF Controller Developer Kit for Vive Focus HTC has also teased hand tracking for Vive Pro. Realizing Star Trek’s holodeck is also the goal of OTOY’s founder Jules Urbach, whose technology is used by creatives to render photo-realistic visuals for various purposes, like the haunting opening sequence of Westworld. Urbach’s work crosses into a lot of different areas and he’s also the driving force behind RNDR — a blockchain-based token built around the idea of distributing rendering tasks to unused graphics processing units around the world. When you wrote that article, I knew this was where we wanted to be a year out. I was waiting for the Light Field Lab prototypes and to see them with my own eyes, running our content, before being certain this was going to work. We also very much need the scale that RNDR provides for this pipeline to be feasible (both for pre-computing LF data and composing and streaming LF media to the display). The post OTOY Partners With Light Field Lab On Holodeck Display Tech appeared first on UploadVR. Samsung Announces New Version of Windows Mixed Reality Headset Samsung announces updated and improved version of Odyssey headset. Viveport Offers 90% off in Massive Halloween Sale That's not all the store has to offer. I just gave the app a quick look and I was pretty impressed, especially with the quality of the 3D, which is a tricky thing to get right in 360 video. Blue herself appears remarkably intimidating when she starts to sniff around the camera, giving the already-compelling experience an even deeper sense of intimacy. The new 5K resolution is based off of the work that Oculus CTO John Carmack open sourced earlier this year, allowing other experiences like Henry to come to Go with the same sharp visuals. Looking for more Jurassic World in VR? Get yourself down to a Dave & Busters, where you can try out an excellent location-based experience too. The post Jurassic World: Blue Remastered On Oculus Go Delivers 5K Dinosaurs appeared first on UploadVR. Pokémon Go is not dead, it has 5m loyal players and it’s changing people’s lives It's withstood the test of time, and it's leading people to get out of the house, travel around and spend more time with their families. Remember Seeking Dawn? It was a visually splendid VR shooter from Multiverse that released a little earlier this year. We’d all but forgotten about it, but a mysterious free to play version of the experience was just listed on Steam. According to the listing the free version of the game will launch on the Oculus Rift, HTC Vive and Windows VR headsets just in time for Halloween on October 26th. The page doesn’t actually include a great deal of information about how this version will differ from the original other than the features section, which notes players will take on “a terrifying boss” as opposed to “terrifying bosses” in the full game’s listing. That says to us that this will likely be more like a demo than an actually fully playable free version with microtransactions. That said it does also list online player, so we’ve reached out to Multiverse to find out all the same. Back in August a developer road map for the game did promise that the PSVR version will be arriving in December, so we’ve asked if that’s still the case too. We thought Seeking Dawn had its charms, but ultimately grinding and resource management bogged the game down too much. The idea of a free to play version that could let you bypass some of those elements by chipping in a little money is actually somewhat appealing, though it would have to be handled respectfully, of course. The post Polished VR Shooter Seeking Dawn Getting Free To Play Edition This Week appeared first on UploadVR. Puzzle Title Tin Hearts Launch Date Revealed by ex-Lionhead Developers There's only a couple of weeks to go.